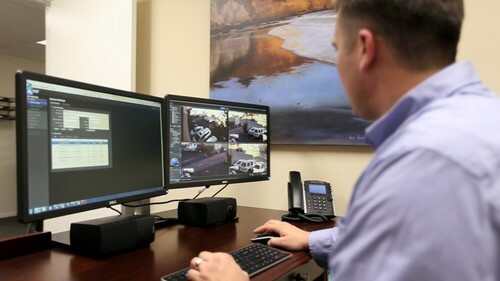 We offer only high quality, high definition security camera systems with resolutions starting at 1080P. With a HD high resolution camera you will be able to clearly see facial features, details such as numbers or license plates, and many other details that are missing with traditional analog systems. Our cameras also have night vision that allows you to see clearly in a pitch black environment. Playback on the NVR is simple and easy to use. Your system can be set up to record between 2 weeks to 6 months depending on the resolution, frequency and storage you select. Our experienced sales reps will custom design a system that will suite your home or business needs. We design a wide range of systems from basic residential use to large commercial projects. All our systems can be remotely managed through a Web Interface or Smartphone App in real time or playback.